← No really it’s ok, I just died a little inside that’s all. 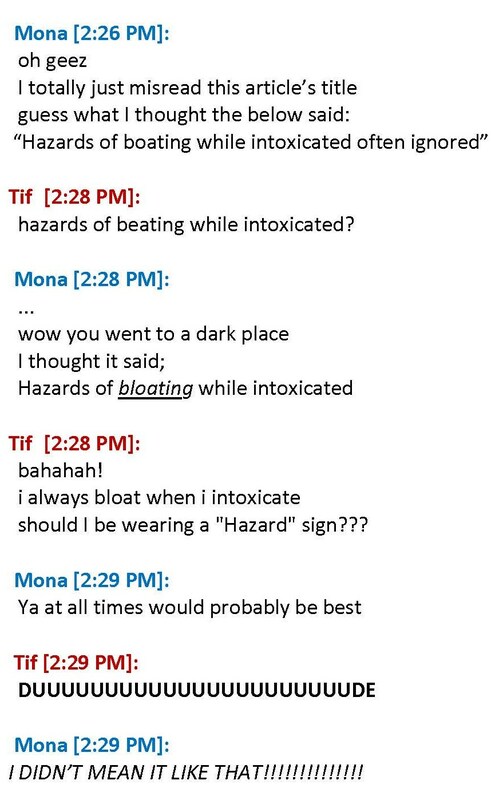 This entry was posted in Facebook/IM Dialogue, Humor and tagged bloating, boating, co-worker, damn, Friends, funny, hazard, Humor, IM, insult, intoxicated, life, office, work. Bookmark the permalink. 2 Responses to Once Again IM Screws Me!! HA! Maybe I should stop, I’m so gittery I can’t focus on words for longer then a milisecond.